The teachers and staff at Lake Geneva Schools are dedicated, talented, and wonderful individuals. Every day they work with children to provide every student an excellent education that ensures the development of responsible, respectful citizens and inspires life-long learning. Let's take a moment to get to know these remarkable individuals. Hello! My name is Karolyn Isom and I am in my 14th year as a Kindergarten teacher at Central-Denison Elementary. I earned my Bachelor of Science degree in Education from Winona State University in Winona, MN. I also have my Master’s degree in Education – Professional Development through UW-La Crosse. My favorite part of teaching Kindergarten is the growth I see when little ones become readers, writers, and mathematicians. I love to watch my students transfer their letter-and-sound knowledge to beginning reading and writing. I love helping them build their academic confidence. I am also very blessed to work with such knowledgeable and driven colleagues at Central-Denison. My goal, as a teacher, is to provide a safe, caring environment and instill a love of learning as my students start on their academic path. Outside of school, you can see me spending time with my husband and my two sons, Parker (6) and Grant (3). We are most likely outside playing basketball, football, soccer, or baseball or inside conducting science experiments and coloring dinosaurs. It’s always an adventure! I want to take this opportunity to introduce myself; my name is Lauren Liberacki. I am proud to be a Biology Teacher at Badger High School. Before working at Badger I attended UW-La Crosse to complete my undergraduate in Biology. I then enrolled at Viterbo University to obtain my teaching degree. My favorite part of working at Badger is being able to work with a vast array of individuals, both amongst students and staff. This not only challenges me to keep growing as an educator but also creates a more well-rounded setting for our students to grow as young adults. I love teaching at Badger because I feel like students have countless opportunities to better themselves and prepare for life after Badger. Being a part of their journey is not only exciting but also rewarding. My goal as a teacher is to make sure each of my students maximizes the opportunity they are given by attending this school. To help them define success in their own terms and help them to reach it. Outside of school, you can usually find me in the pool. Coaching girls and boys swimming, volunteering for Special Olympics and on the rare occasion getting some exercise in for myself at the YMCA. Hello, I am Mrs. Zorich. I teach 8th grade Math 8 and Algebra I in Delta House at the middle school. Some of you may remember me as Ms. Martinez. The name has changed because I got married during the summer of 2017. I have just started my 17th year with this district and my 24th year teaching. Prior to teaching, I was home for 10 years raising my children and being actively involved in their school community. Teaching is a second career for me as I worked for Illinois Bell Telephone and AT&T Information Systems before starting a family. My undergraduate degree, a BS-Education, is from UW-Whitewater. I also have a ME-Professional Development with an emphasis in Mathematics Education from Cardinal Stritch University. The greatest part of teaching mathematics is seeing the “Oh my gosh, I get it now” moments when students realize that they can learn, understand, and do well in mathematics. My goal for all of my students is to recognize that education is power...I want all of them to be powerful! Outside of school time, you can find me walking the dog and loving the lake! Hi there! My name is Miss Amy Stanfield, and I am the music teacher at Central Denison Elementary School. You can find me singing, moving, and playing all day long in the music room! I went to the University of Wisconsin - Eau Claire and received a bachelor’s degree in music education with a general music and choral emphasis. During my student teaching, I fell in LOVE with elementary music, and I’ve had a blast teaching it ever since. I’ve begun my Kodály and Orff Certifications at the University of DePaul, been certified in World Music Drumming Level 1, and have a master’s degree in general music education from Vandercook College of Music. Central Denison is wonderful because of our diverse population of students! We may all be different, but we come together create, perform, and respond to music. One of my favorite sayings is “Music is the universal language of mankind,” and I love being able to unite our students through song. This is also what I love about teaching music in general. Through music, we can experience other cultures, express our feelings, connect to patterns mathematically, and work as a team to create a masterpiece. Seeing children get excited about singing in another language, listening to classical music, or doing other musical activities to help broaden their horizons is by far the best part of my job. When I’m not at Central Denison, you can find me teaching KIDZ Yoga at the YMCA, working at a small boutique in downtown Lake Geneva, singing in a choir in Chicago, paddle boarding, or snuggling with my French Bulldog, Olive! I am the occupational therapist at Star Center Elementary School and for the district’s Early Childhood Program. I have my bachelor's degree in occupational therapy from UW-Milwaukee and a master’s degree in education from UW-LaCrosse. I have been an occupational therapist for 23 years and have worked in the Lake Geneva School District for the past 15 years. I love my job because it allows me the opportunity to work with my students for several years and watch them grow and progress through their preschool and elementary school experiences. My goal as an occupational therapist is to develop the whole child and assist him/her at becoming as independent and functional at school as possible so he/she can be successful not only academically, but socially, emotionally, and physically as well. Star Center is an amazing school to work at because the teachers, parents, and the community surrounding it are all so invested in the students’ success! When I’m not working at school you can find me spending time with my husband Jim and my two daughters Brianna and Brooke, gardening, reading, watching movies, or going to the theater. My name is Laura-Nicole Shotliff. I have been at Badger High School for twenty years as a Theatre/English Teacher from 1999-2011 and an English Teacher (AP and more) from 2011-now. For the past three years, I have served as the National Honor Society adviser. I have undergraduate degrees in English and Theatre from UW-River Falls, my teaching license for grades 6-12 from Carroll College, and a Master’s Degree in Teacher Leadership from Cardinal Stritch University. The best part of my job, and my goal as a teacher, is teaching students how to become better writers, preparing them for the rigors of college composition. Badger is the best place to be a teacher because of the wide variety of extras we offer our students -- AP courses, Gateway articulated courses, sports, fine arts, and a large number of clubs and organizations so that every student can find a “home.” When I’m not at Badger, you can find me at Miller Park or home watching The Brewers play baseball (Yelich for MVP! ), bowling, or doing community theatre at the Racine Theatre Guild. My name is Mrs. Rabe and I teach 3rd grade at Central-Denison. I went to school at UW-Whitewater and received a bachelor's degree in Early Childhood/Elementary Education. A year after graduating I went to George Williams College for my ESL license and recently just finished my master's degree to be a Reading Specialist. Before teaching 3rd grade, I taught 2nd grade for six years. My favorite part of teaching is watching each student grow throughout the year and I love making learning fun through games and art projects. I like teaching at Central-Denison because of the great teachers, students, and positive environment. My goal is to help students feel cared for and find success. Outside of school, you can find me riding my bike, going on walks, and spending time with my husband and two-year-old daughter. My name is Julie Milligan and I am a School Counselor at Lake Geneva Middle School. I received a Bachelor's Degree in Psychology from Lawrence University and a Master's Degree from UW-Milwaukee in Educational Psychology with an emphasis in School Counseling. I furthered my education at Viterbo University and obtained my license for Principal and Director of Instruction. I began my career in Kansasville and then Waterford, where I worked for 20 years before coming to Lake Geneva in 2013. I am thrilled to be back in the town where I grew up and love working at Lake Geneva Middle School. I especially enjoy our amazing staff, supportive families, and learning new things from our incredible students. My goal is to help the students gain the skills and confidence they need to be successful at school and prepared to enjoy their future. Outside of school, you can find me going for walks with my family, reading, and enjoying my daughter's concerts and gymnastics meets. Hello! I am Ms. Powell and I work at Badger High School. This is the start of my 8th year with Lake Geneva Schools. I began my career at LGMS as the main office secretary and moved over to Badger a couple of years ago in the Student Information Systems Support position. I am currently attending Gateway Technical College and plan to graduate with an Associate Degree as an Administrative Professional in December of 2019. I enjoy the many challenges that my job brings on a daily basis including creating the master schedule for Badger, pulling all sorts of data needed by staff and state reporting agencies, and of course, working with the students! Students are the best part of my job and I enjoy watching them grow while at Badger and learning about their life outside of school. It is my goal to make sure every student leaves my office knowing that they can always walk through my door and feel comfortable talking to me. Outside of school, you will find me with my family – I may be cheering on my youngest daughter, Payton, at a softball game, or heading up to Carroll University to visit my oldest daughter, Emma. I also enjoy watching football (GO BEARS! ), traveling and going to music festivals like Summerfest. Hello! My name is Mrs. Ali Mauss and I am a Speech-Language Pathologist at Star Center Elementary. I graduated from the University of Wisconsin-La Crosse with a bachelor’s degree in Psychology and Spanish. I then went on to complete my master’s degree in Communicative Sciences and Disorders at the University of Wisconsin-Madison. While at UW-Madison I worked at two research labs. The first studied bilingual language acquisition in children and the other examined early language development in children. Following graduation, I was thrilled to be hired with the Lake Geneva Schools where my favorite part of my job is seeing the excitement on students' faces when they master a new skill they thought they wouldn’t be able to do. This is a daily occurrence at Star Center where the supportive, kind-hearted and professional staff take care of our students and make it a wonderful place to work. As a part of this school, my goal is to build strong relationships with my students and to empower them to see their potential to accomplish anything they set their mind to. Outside of school, you can find me taking nature hikes, experimenting with healthy recipes while listening to books on tape, and checking out new restaurants and events in the area with my family and friends. My name is Kelly Peters and I’m a third grade teacher at Central-Denison. I completed my student teaching in Lake Geneva and began teaching here in 2003. I attended UW-Whitewater and received my Bachelor’s degree in Education with a minor in Psychology. I continued my education and received a Master’s in Education from Aurora University. I have taught second and third grade. My favorite part about teaching is sharing my passion for learning. I love trying new things with my students to peek their interests and foster their love of learning. I have a wide array of interests including science experiments, incorporating technology in the classroom, game based learning in math, and encouraging students to have a growth mindset. My husband, Jason, works for Walworth County Highway Department. We live in Lake Geneva and our 3 children attend Lake Geneva Schools as well. We love being a part of this beautiful community. I love working at Central-Denison and living in the same community because I have met so many amazing students and families! Outside of school you may see me outdoors with my family, kayaking, or enjoying the beach. I enjoy walking and have walked all 20+ miles of the Geneva lake path 16 times. I also love to travel with my family. I am always up for an adventure. My name is Mrs. Ashley Schmidt, and I am the Spanish Teacher at Eastview Elementary School. I graduated from UW-Whitewater with a Bachelor’s Degree in Elementary Education, and I also received my Master’s Degree from Cardinal Stritch University in Educational Leadership and Curriculum and Instruction. I love working at Eastview because of the students and staff. I get the opportunity to work with all 4th and 5th graders and hope that by the time they leave they have an appreciation for the Spanish language and culture (and had some fun while learning about it). When I am not at school, I can usually be found spending time with my family. My children, Whitney (9) and Wells (7), are involved in many youth sports that keep our family busy. My husband coaches almost every sport that they play which leaves me to be the cheerleader! My name is Mrs. Young, and I am the Speech and Language Pathologist at Lake Geneva Middle School and Badger High School. I earned my Bachelor’s and Master’s degrees from the University of Wisconsin-Eau Claire, and this is my 13th year working for the district. My favorite part of being an SLP is watching students achieve their communication goals. I love working at the middle school and high school because I get to see most of my students achieve their goals to be able to be dismissed from direct services, which is an exciting accomplishment for them. Even though I miss working with the students when they are dismissed, it is my goal to help my students be the best communicators they can be. Outside of school, you can find me spending time with my husband and two daughters, Avery and Hadley at the library, parks, swimming pool, zoo, lake, bakery and apple orchards. My name is Jamie Kluge, and I am a 4th grade teacher at Star Center Elementary. I started teaching for Lake Geneva Schools in 2009 as a 1st grade teacher. A few years later, I started teaching 4th grade. Before coming to Lake Geneva, I taught 9 years in Platteville, Wisconsin, as a looping teacher for 3rd and 4th grade as well as 2nd grade for a few years. I received my bachelor’s degree from the University of Wisconsin-Platteville with a minor in mathematics education. I went on to achieve a Master’s Degree in Elementary Education, grades 1-9. My favorite part of this job is making connections with students and watching them grow as lifelong learners. I love teaching at Star Center for many reasons! The staff is wonderful, our families are amazing, and I love teaching here! Star Center Elementary is a great place to work! My goals for my students are to keep working hard, to give their best effort, and to try new things! I believe in them! Outside of school, you can find me hanging out with my family. I love to travel, be with family and friends, and explore new places. My name is Mrs. Lazzaroni and I teach math at Badger High School. I attended the University of Wisconsin - River Falls where I earned my bachelor of science degree. I received my master’s degree in education from Viterbo University in LaCrosse. My favorite part of my job is hearing students say, “That was easy. “, “Math is fun!” or “That’s all I have to do?” when they understand the lesson. I enjoy teaching at Badger High School because we work in teams. Everyone has input and the diversity leads to a stronger program. Our lessons are richer because of everyone’s combined strengths. My goal is to help students understand math so it can be used as a tool outside of math class. Outside of school you can find me doing a variety of volunteer activities. I am a member of the Ice Age Trail Alliance, which is a non-profit group that supports the Ice Age Trail (one of the National Scenic Trails). This is a group that protects, builds, maintains and promotes the 1200 mile hiking path in the state of Wisconsin. I am a Girl Scout Leader. I am currently working with a scout who is running a sign language club at BHS for her gold award project. I do a variety of things at my church: singing in the choir, providing hospitality and running bake sales, and cleaning the church to name a few. I go camping, biking and kayaking with family and friends. I enjoy watching my family members play different sports and attend their concerts and plays. Hi, I am Miss Meyerhofer and I work at Central-Denison. I am a first grade teacher. I went to UW-La Crosse and this is my 4th year teaching at Central-Denison, third year in 1st and I have one year of Kindergarten experience. Teaching kids how to read, and be better readers is my favorite part of my job I get to do each and every day! I love teaching at Cen-Den because we get to visit our community with walking field trips to the public library, snow sculptures and more! The friendly and welcoming staff at Cen-Den also make this a great place to learn and have fun! My goal is to help students be the best versions of themselves and grow so much each day! Outside of school you can find me traveling! My picture is of me and a castle in Ireland from this summer. Position: French teacher and advisor to Global Education Achievement Certificate and French Club Education / Work Background: I earned my BA from Marquette University with French and Secondary Education Majors and a Philosophy Minor. I have a Master of Education with an emphasis on Modern Language from Carthage College. I have taught for more than 25 years, which includes all levels of French from elementary enrichment courses, to middle school exploratory courses, and all levels at the high school: French I, II, III, IV, V/AP. I am also an adjunct professor for UW-Green Bay, which allows me to teach French V at the high school as a college course so that students can earn university credits while at Badger. What is your favorite part of your job? I love my students! They make me laugh and smile every day - they bring me so much joy and teach me new things. 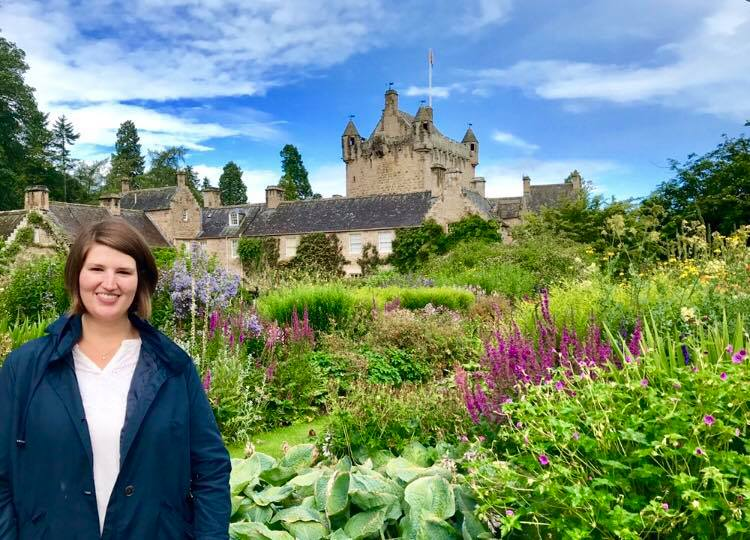 I love getting to know my students beyond the classroom as well: I have traveled with my students to Europe, Canada, New York, and many other states. I have coached soccer and advised lots of clubs. We always find the fun in what we do! Why do you like teaching at Badger? Badger students are the best! They have so much school spirit, care about each other, and want to do well. I also love getting to be in beautiful Lake Geneva. My goal is to: help students develop skills and find their passion so that they can achieve all that they dream of. I hope to open their minds and lots of doors for their future. Outside of school, you can find me: at my three children’s sporting events, or enjoying a bike ride, run, paddle, or hike. My name is Mrs. Abby Rouce and I am the School Psychologist at Star. This is my first year at Star Center but my 4th year as a School Psychologist. I grew up in Burlington, Wisconsin and graduated from Burlington High School. I graduated from UW La Crosse with a Bachelors in Psychology and a minor in Nutrition. I furthered my education and UW Whitewater and received a Masters degree in Education and an Educational Specialist degree to become a School Psychologist. My favorite part of being a school psychologist is being able to work with all students so they are able to reach their fullest potential socially, emotionally, behaviorally, and academically. I love when I am working with a student and see the light in their eyes when they do something they never thought they could do. Outside of school, I enjoy spending time with my family, playing softball, baking, taking vacations, and being outdoors. My name is Mrs. Heather Hutchinson. I am a fifth grade teacher at Eastview Elementary School. This is my 21st year of teaching in the Lake Geneva School District. I earned my Bachelor’s degree in Elementary Education with an emphasis in Psychology at Augustana College in the Quad Cities. Then I went back to school and received a Master’s degree in Curriculum and Instruction at Aurora University in Williams Bay, WI. My favorite part of my job is when my students get motivated to learn a new topic. At Eastview, there is a nurturing environment that encourages students to take chances, make mistakes, and learn! My number one goal for my students would be to teach them that any goal is possible with perseverance! Outside of school can you find me playing at the park with my husband, son and dog, Bentley! My name is Beau Roddy and I work at Badger High School as a special education teacher. I went to the University of Wisconsin-Madison for an undergraduate degree in International Relations and received a Master's Degree in Special Education from the University of Wisconsin-Whitewater. The favorite part of my job is having the ability to work with students in many different settings. The ability to work in the classroom, on the field and in the community is what makes this profession rewarding. I love teaching at Badger because of the many different opportunities provided for students and teachers. If you want to be a better version of yourself, you will be supported. I also appreciate the positive atmosphere that is present at Badger throughout the academic school year. My goal as a teacher is to assure that each student is maximizing their potential and developing plans for life after high school. Outside of school, you can find me at sporting events, going for bike rides with my wife, and checking off bucket list trips as often as possible. 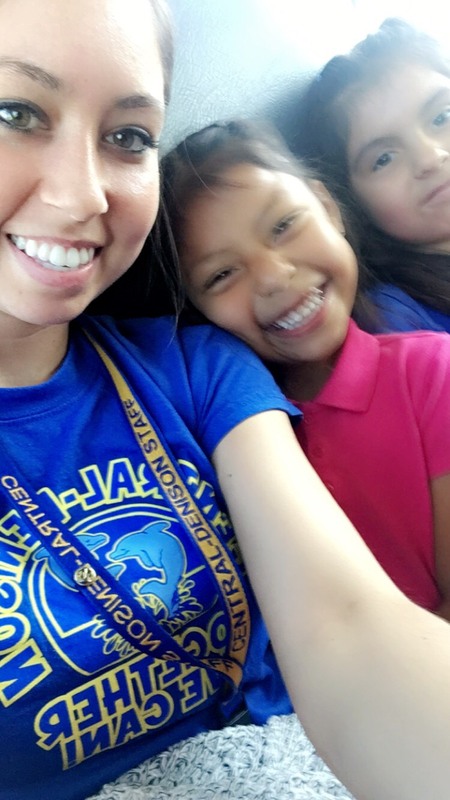 My name is Lauren Mandujano, my students call me Miss M. I teach ESL at Central-Denison. I graduated from UW-Milwaukee in 2016. This is my 3rd year teaching. I mostly work with kindergarten and 1st grade English language learners. My favorite part of my job is learning with my students, and laughing with them! It is something new every day! I enjoy teaching at Central-Denison because everyone is so helpful and enthusiastic about teaching. My goal is to help students feel confident in themselves. Outside of school, you can find me working at the YMCA or hanging out with my fur babies- my dog Lincoln, and my cat Luna. My name is Mr. Zweifel and I teach STEM classes (Design and Modeling and FabLab) at Lake Geneva Middle School. I was born and raised in Jefferson, WI, where I graduated from Jefferson High School. I completed my undergrad at Carroll College in Waukesha, WI before earning my Master’s Degree in Technology in Education from Cardinal Stritch University. My teaching career began in 2001, and I’ve enjoyed teaching 1st grade, 2nd grade, 4th grade, 6th Grade Science, 8th Grade Science, and STEM classes over the past 18 years. LGMS is a great place to teach because of the people I work with and the amazing resources we have in our district. My goal is to help students find what they love to do and enjoy learning. Outside of school, you can find me coaching, working out, or spending time with my family. My name is Amanda Krause and I teach band at Lake Geneva Middle School. This is my 11th year teaching middle school band, and my 5th year in Lake Geneva. I received my Bachelor of Music from the University of Minnesota in 2004, and my Master of Education and Professional Development from the University of Wisconsin - La Crosse in 2013. Prior to teaching in Lake Geneva, I taught in Anoka, MN and Union Grove, WI. My favorite part of my job is working with my students, especially since I get to work with them year after year. I love getting to know my students and watching them develop into outstanding musicians and individuals. Teaching at Lake Geneva Middle School is very special to me. I was a member of the first graduating class of LGMS in 2000, and I am proud to teach band where I got my start in music. My goal as a band director is to help students become lifelong musicians and for them to connect the skills they gain in my class to their everyday life. Outside of school, you can find me spending time with my husband and two daughters. Some of our favorite things to do are cheer on the Green Bay Packers and Minnesota Gophers, eat ice cream and listen to music. My name is Mrs. Goff, and I am a fifth grade teacher at Star Center Elementary. This is my tenth year teaching fifth grade in the Lake Geneva Schools. I earned my undergraduate degree from the University of Wisconsin, Madison. After working in business for a few years, I pursued my passion and went on to earn elementary education teacher certification from the University of Wisconsin, Whitewater. In the spring of 2016, I earned a Master’s degree in Education Administration from Concordia University. My absolute, undeniable favorite part of my job is the time I spend with my students each day helping them grow and learn!! On the first day of school each year, I share with my students that it is my job to teach them academic skills, but I think it is equally important, if not more important, to help them to grow as people. After all, we will be remembered by our character and how we treat each other more than anything else. I love working at Star Center Elementary because of the amazing students, the supportive families, and the collaborative colleagues. It is truly a warm and welcoming school community. Outside of school, you can find me spending time with my family and walking my one year old black Labrador retriever! My name is Stacy Smith and I am a reading specialist at Central-Denison school. In the spring of 2004, I graduated from Carroll College with an undergraduate degree in Elementary Education. In 2009, I received my Master's Degree from Aurora University in Reading. Throughout my time teaching I have taught 1st, 2nd and 3rd grade and in 2012, I took on the role of a reading specialist. My favorite part of my job is teaching children the tools or strategies to become a confident reader. There is no better feeling than seeing a child take what you have taught them and apply it independently. It is the absolute best part of my job. Central-Denison is such an amazing place to learn and grow. I am so fortunate to work with the people I do. I love this place so much and am so confident in our curriculum and our teachers that deliver our instruction that my own children are a Central-Denison alum, current student and future student. This is absolutely the place to enroll your future learner. Outside of school, you can find me with my family doing all things active. You may recognize my husband as Mr. Smith from Eastview. He shares my love for teaching as a fifth grade teacher. Together we have three children, Maelynn (9), Kinlee (6) and Koa (3). As a family, we enjoy running races, paddle boarding, camping, hiking, exploring and traveling. My name is Nora Giesbers and I teach special education for the fourth and fifth grade at Eastview Elementary School. This is my second year as a special education teacher, however, my fifth year working in a school. After I graduated from UW-Eau Claire with a degree in Communication Sciences and Disorders I began working as a special education paraprofessional. From there my love for the field grew and I decided to go back to school to get my teaching license and Master’s Degree in Education. The best part of my job is when the students demonstrate they are understanding the concepts being taught and want to teach others. I love seeing the light in their eye as they share their joys of learning. The kids make it all worth it! I also am extremely grateful to be an Eagle. I was blessed to be given this job opportunity and love working and learning from the wonderful staff here. I love coming to work every day and seeing the kids have a love for learning and I am grateful to be part of the team at Eastview. My goal is to instill a love for learning in the students as well as teach them the confidence they need to be successful. It is important to me to teach to the whole child and make sure they have the tools they need to be successful. Outside of school, you can find me with family or friends. I love to spend my time with those close to me. Often at a game night, working on projects, having a movie night, or planning my wedding. Any time that we can have together is cherished. Roosevelt? Churchill? Napoleon?...Kiefer?!?! Greetings!! My name is Mr. Kiefer and I am fortunate enough to teach about many great historical figures, like the ones mentioned above, as a history teacher at Badger High School. I teach AP European History and Integrated World Studies both consisting of mainly sophomores. I graduated from UW-La Crosse in the winter of 2013 and have been teaching at Badger for five years. During the summer I work for the City of Lake Geneva’s Street Department, which I have been doing for the past nine years. My favorite part of being a teacher is getting the opportunity to have so many different personalities and characters come through my door every day and getting the opportunity to interact with them. My goal is to help the wide variety of students that I get to be around and help them become the best version of themselves, both as a student and as a person. I love being at Badger because of the relationships that are created with students and co-workers, on top of the positive culture that our school has created. Outside of school, you can find me doing one of my favorite hobbies, running around our beautiful area. Whether it is around my home in Walworth, or with members of the Badger Cross Country team in Lake Geneva, I go for a run every day after school as a way to decompress and stay in shape. I can also be found cheering on my favorite professional sports teams, the Chicago Cubs, Bears, Bulls, and Blackhawks. My name is Mrs. DeBaere and I teach 7th grade Language Arts at LGMS. After graduating from Badger High School, I attended UW-La Crosse and then UW-Whitewater. I graduated from UWW with a degree in English. After a few years of working as an underwriter for a mortgage company, I decided to go back to school to find something I was passionate about. I attended Aurora University at the George Williams campus and graduated with honors. I received my Master’s degree in secondary education. I have worked at LGMS since 2007. My favorite part of my job is connecting with students. I feel like having and creating a rapport with students is fundamental to the learning environment. Additionally, being a part of students’ success is very rewarding along with being able to continue learning as an adult. My goal is to help each student succeed, to become lifelong learners, and readers. I very much enjoy being in the community of which I grew up. When I am not at school, I enjoy spending time with my family and friends. I also enjoy watching various Netflix series and reading. My name is Mrs. Ecklund, and I am a second-grade teacher at Star Center. I have been teaching there since 2004 after I graduated from North Central College with a major in Elementary Education and a minor in Spanish. I obtained my Master’s degree in Teaching and Leadership in 2008 from Saint Xavier University. I absolutely love watching my students grow into independent, respectful, and kind learners during the school year! Star Center is a special place to be because of the amazing teachers and staff, supportive parents, and wonderful students! My goal is to help students develop a love for learning and also be kind, caring members of our community! Outside of school, you can find me spending time with my family (I have a wonderful husband and two amazing boys), or swimming/biking/running! I love spreading inclusion by helping people with disabilities participate in races like triathlons or half-marathons with an organization called myTeam Triumph!